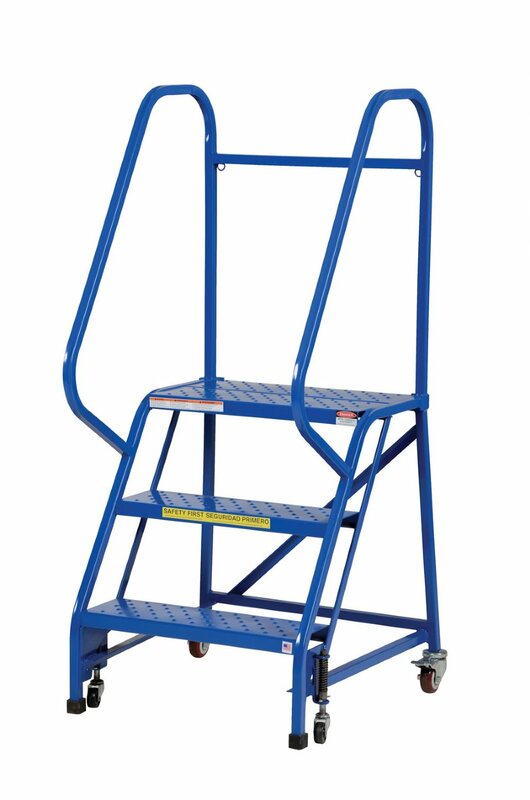 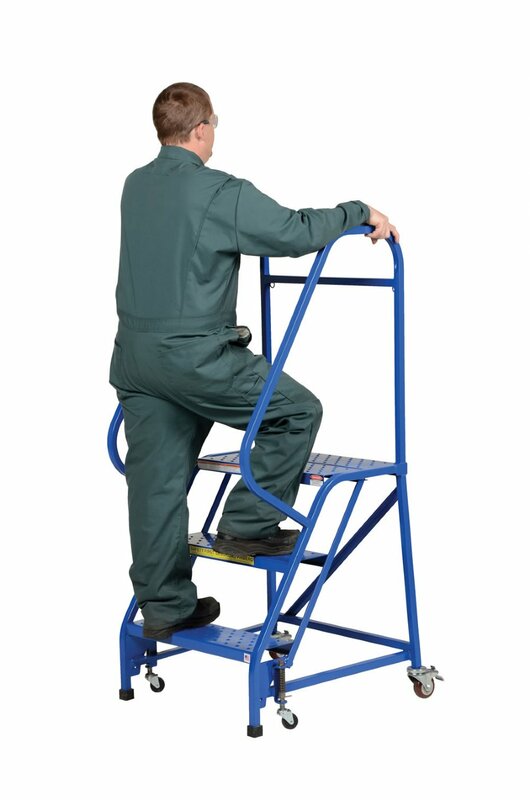 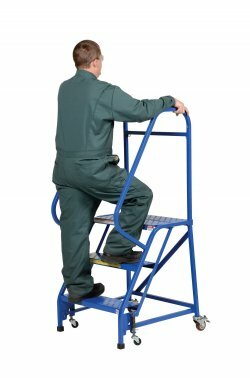 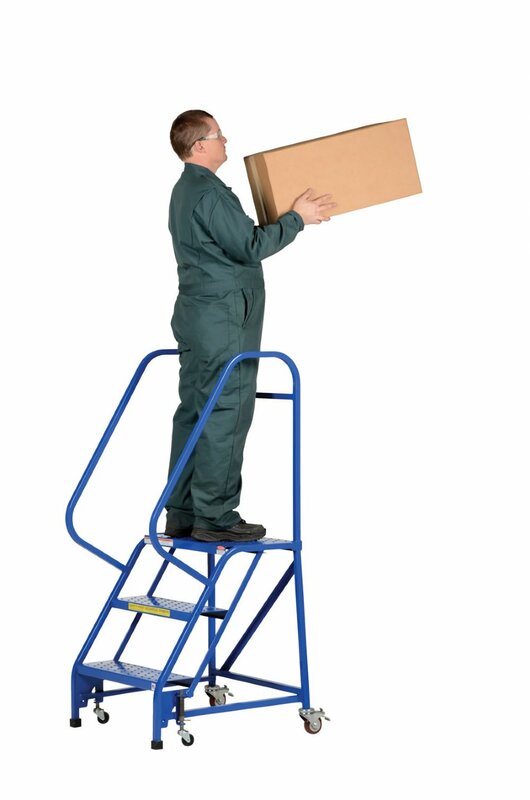 4 Step Portable Warehouse Ladder, 26" Wide Steps, 40" Top Step Height, Grip-Strut Steps, Blue Powder Coated Steel. The 4 Step Portable Warehouse Ladder with 26" Wide/Deep Top Step and Grip-Strut Steps is for every-day use applications. 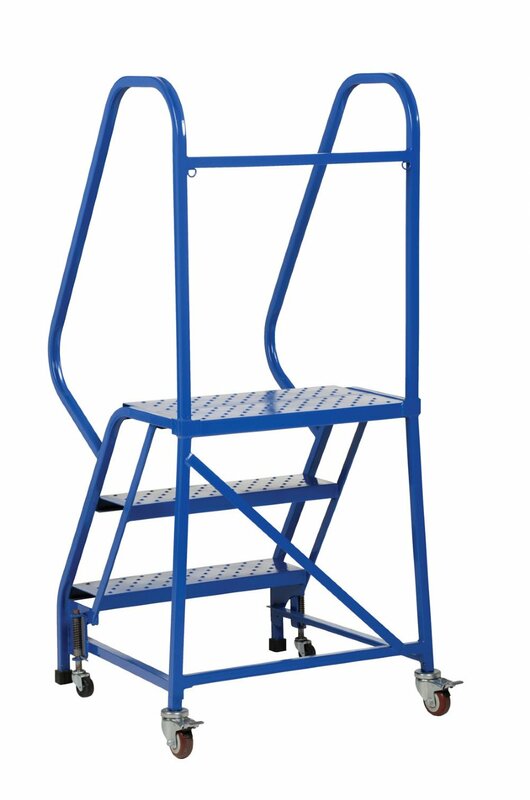 All warehouse ladders are constructed from welded square tubular steel with a blue powder coat finish. Rubber feet provided for floor protection. 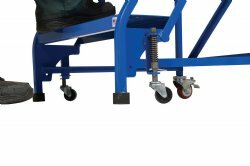 Unit has all directional spring-loaded swivel casters. 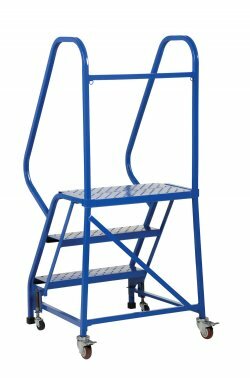 Models with 2-5 steps ship fully assembled and ready to use, models 6 steps and above ship knock down to help reduce shipping costs.